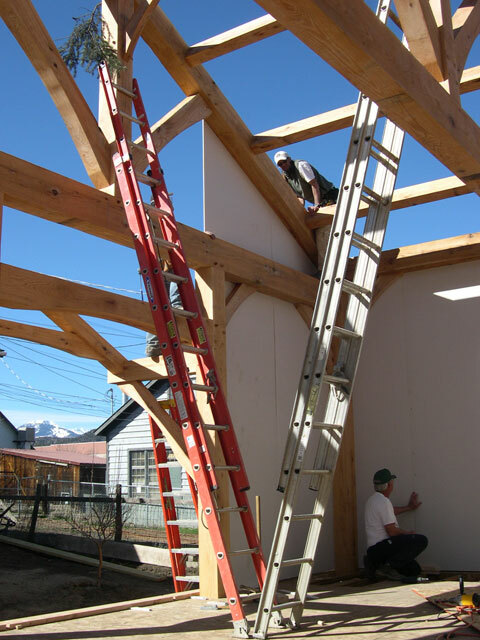 The first step Wind River takes to enclose your frame is tacking drywall wherever the timber frame touches an outside wall. Not only is it faster, but we feel that it gives a better finished product as opposed to the alternative of shimming the walls and sliding sheet rock in later. 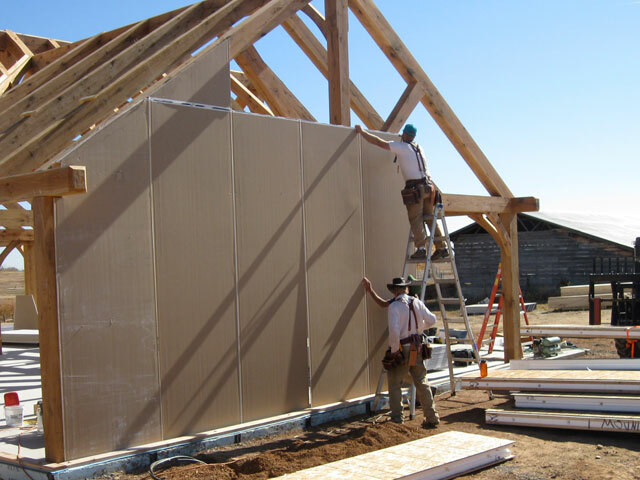 Once a wall has drywall, the SIPs wall panels are slide into place along a plate. They are secured to other panels with nails and to the timber frame with wood screws. The sheetrock is then screwed back into the panels to finish the walls. 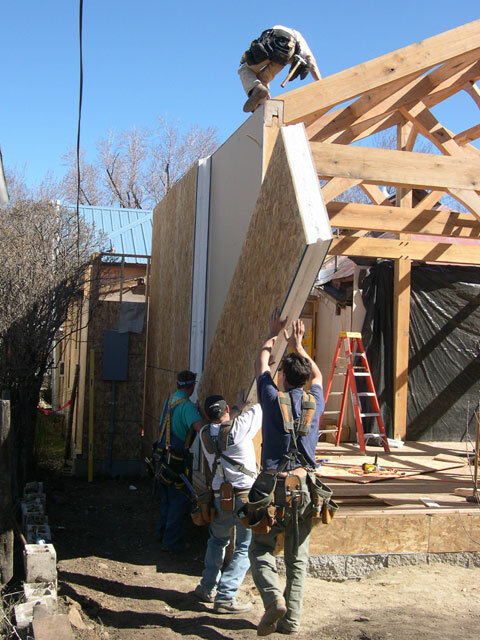 The SIPs wall panels come with pre-routed chases for electrical wiring. There are two horizontal chases at typical switch and plug heights. In addition, there are vertical chases approximately every four feet where two wall panels come together. A window and door package can be pre-cut out of the walls at the SIPs factory. 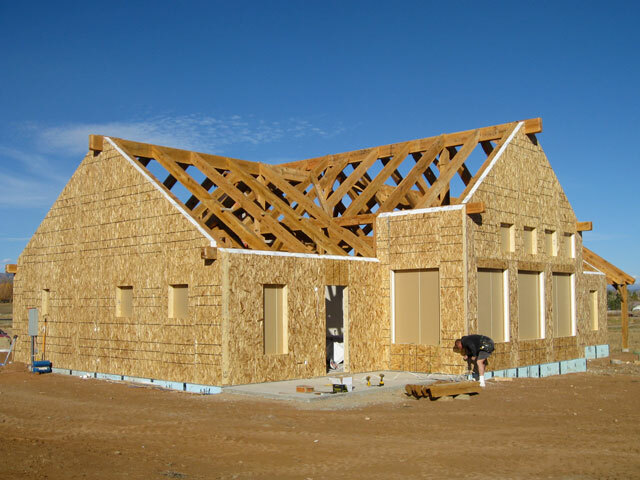 When the walls are finished, the drywall only needs to be cut out of the windows and doors and your general contractor can begin installing.